Free Shipping and Replacement Box! 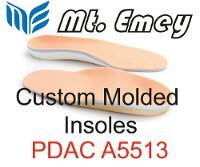 A5513-approved custom diabetic insoles through Amfit FootPrinter are custom orthotics made easy-no hassle, no equipment. 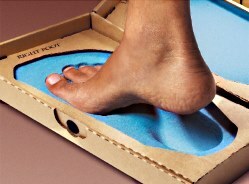 Foam box processing for diabetic insoles starts at three pairs for $77 or single pairs at $46.50. Shipping both ways is included in the price. Harness the power of 3D scanning for your patients with a patented foam box to minimize errors. Choose bi-lam, tri-lam, toe filler, or Charcot foot styles. Offer your patients a true custom solution for their foot orthotic needs-call today to get started! No more static socket shape. No more hard ischial seat. No more loss of suction. We've reinvented sockets from the ground up. Using our NASA-based hammock-fit technology, the Socketless Socket truly conforms to the user, providing a custom-fit socket every time you put it on. Fitting a socket is now micro-adjustable in real-time, eliminating the antiquated casting, modification, and iterative test socket fitting methods from the past. View the free Socket-less Socket training below at MartinBionics.com. Our accommodative foot orthotics are specially designed for patients with foot deformities. We offer a variety of materials for foot conditions such as neuropathy, Charcot foot, edema, or amputation; or conditions resulting from health issues like obesity, diabetes, sports injuries, or heart conditions. 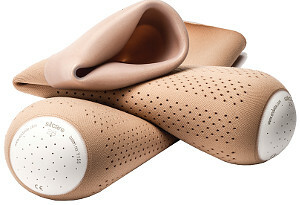 Custom-made foot orthotics provide support and relief wherever necessary. Apis provides you with a free 3D camera to eliminate impressions or casting-now it's just a push of a button. Fulfill all of your pedorthic needs under one roof. Call our friendly customer service representatives for more information or free samples. 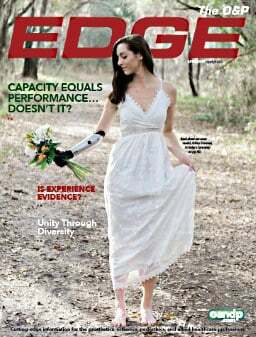 Patients experience greater fit, function, and freedom with Orthomerica's new Fuzion™ line of custom orthoses. The Fuzion's design and materials ensure greater patient compliance for a variety of challenging clinical indications. Available for select adult and pediatric patients. 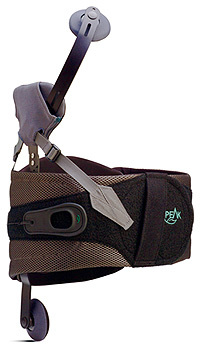 Fuzion's compression design holds the patient in a secure, comfortable position while assisting with spasticity management. 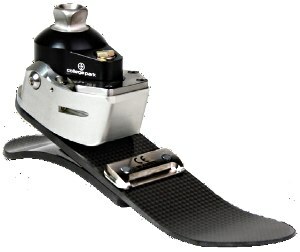 The Camber Axis Hinge® provides an adjustable range-of-motion ankle joint with anatomical axis alignment that can be used in thermoplastic orthoses. Equipped with seven different color-coded range-of-motion keys, the Camber Axis Hinge eliminates the need for posterior stop mechanisms. The Camber Axis Hinge is available in three sizes with a new, optional black non-corrosive finish. For more information about the Camber Axis Hinge and other Becker products, please contact our customer service department or visit our website. 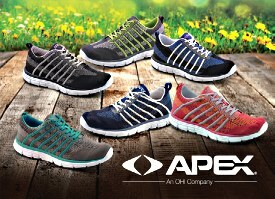 The Apex FitLite™ Collection -the Men's Bolt and the Women's Breeze-are the ultimate in eye-catching, vibrant knit athletics. Featuring consummate style, superior comfort, and industry-leading construction, each pair is meticulously crafted with the highest quality materials and designed for agility and ultimate durability. For our new catalog or to place an order, call or visit our website. RHEO KNEE 3® delivers both confidence-boosting stability and a dynamic experience for users who want to return to everyday activity. While other leading microprocessor knees still use traditional hydraulic solutions, only RHEO KNEE 3 features the highly responsive magneto-rheologic (MR) fluid technology, popularized by the aerospace, defense, and automotive industries. This proven MR fluid makes it possible for RHEO KNEE 3 to shift almost instantaneously from the high resistance required for stability in stance phase to the low resistance needed for a dynamic, free swing phase. Request a demo today at www.ossur.com/rheoknee3. Introducing the first prefabricated AFO that can be fully customized and formed to the patient to provide functional stabilization of the ankle-foot complex and address bony abnormalities, chronic instability, and post-trauma rehabilitation. 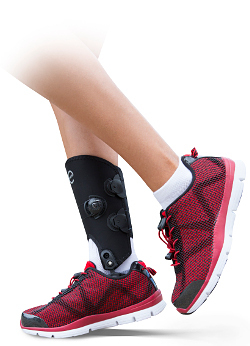 The Exos™ Free Motion Ankle presents a new orthopedic choice with a treatment option that is moldable, reformable, removable, and adjustable. This leading-edge treatment uses revolutionary technology, allowing a clinician to custom fit a brace within 30 minutes-minimizing time and cost while providing immediate results for the patient. 3D-LITE LSO XTRA: Customize Your OTS LSO! Breathable and lightweight, yet rigid and custom moldable! Boost patient compliance with a comfortable back support that delivers the stability your patient needs. 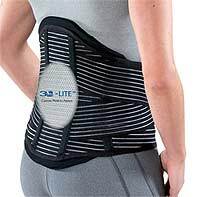 The 3D-LITE™ LSO XTRA is designed to accommodate the healing process by applying adjustable compression and incorporating removable polyethylene anterior inserts and a 3D-LITE custom-moldable back panel that can be reheated and remolded. The patient can easily slip his or her hands into the hand loops sewn onto both anterior panels for simplified donning and doffing. Five sizes fit from 23½" to 55" waists. PDAC letter available for L-0631. Contact us to learn more! WillowWood's Alpha SmartTemp® Liner brings temperature control to prosthetic liners with Outlast®, the original heat-management technology developed for NASA. 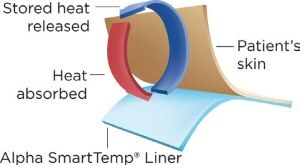 The liner absorbs heat generated by the user's residual limb (as illustrated) and reduces sweating and the amount of moisture within a liner. When skin temperature drops, stored heat is recycled back to the limb to prevent chilling. Comfort is achieved when the skin and the liner temperatures are balanced. Alpha SmartTemp Liners are available for transtibial and transfemoral use and retrofit with Alpha Hybrid® and Silicone® Liners. Our proprietary braid was designed to be used in equivalent amounts to carbon. Coyote Composite is more flexible than carbon (we consider this to be an advantage), but if you need to match the rigidity of a carbon socket, use additional layers of stockinette and/or carbon tape. Try 3/4"-thick PETG sheet when 5/8" is not enough! PETG is a transparent plastic material that is most commonly used for check sockets, face guards, and other applications where clarity and deep draw forming are required. Harmony between Security and Fluidity. 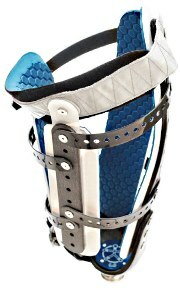 The Symphony is a six-bar polycentric knee designed for patients who need both safety and dynamics. It orchestrates the phases of the gait cycle to offer a harmonious solution with security, comfort, and fluidity. The p-MRS system mechanically detects the different gait phases and adapts stability accordingly. 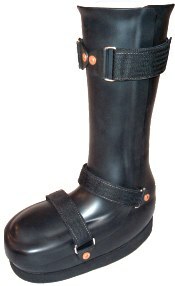 At heel strike, the system locks the knee geometrically and cushions with a stance flexion dampening feature. The selective lock function enables the patient to lock the knee manually whenever security is needed. At the preswing phase, the Symphony unlocks for an effortless switch to swing phase. Introducing the next step in the Odyssey line of hydraulic feet from College Park. The OdysseyK3® utilizes the patented curved hydraulic ankle plus a higher-frequency carbon fiber foot base for increased dynamic response. The robust ankle housing with angular positioning was designed for moderate-impact users who are able to balance without assistance. The combination of smooth hydraulics and a dynamic foot base brings exceptional performance during activities like aggressive city walking or multi-terrain hiking. See it in action at www.youtube.com/collegeparkind. The Silcare Breathe silicone liner allows moisture to escape. 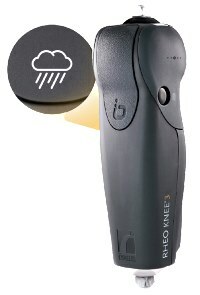 Unique moisture management results in drier skin, helps reduce the damaging effects of friction, and improves comfort and control. Stretch zones: Seamless technology provides bidirectional stretch, improving comfort and contouring, and reducing shear force as it flexes. Laser-drilled perforations: Optimally sized pores distributed uniformly along the length and distal end of the liner permit the escape of air and moisture. Tendresse finish: A lower coefficient of friction than standard silicone reduces shear stress on the skin. Extraordinary adventures begin with the new ultralow-profile RUSH™ ROVER! With a clearance just over two inches, even patients with the most extreme low or high clearance will benefit from the dynamic toe-off and superior energy return of the ROVER. Capable. Strong. Comfortable. 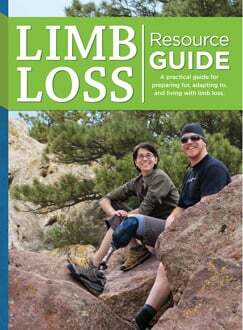 From rocky trailheads to the sidewalks of a concrete jungle, patients can navigate even the most demanding terrain with ease. RUSH ROVER-the world is yours; go live it! Now available in sizes 22-30cm. 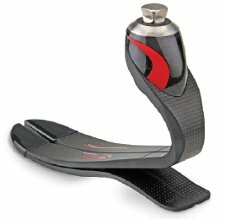 Visit www.rushfoot.com for more information. Formulated with the ALPS GripGel, the new SFB seamless suspension sleeve provides superior comfort with a single-piece construction. 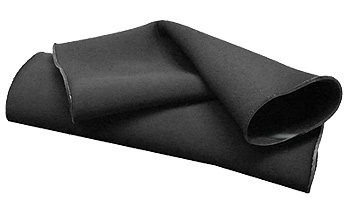 The SFB sleeve features a new, black knitted fabric that allows the user excellent freedom of knee flexion. This new sleeve seals with the skin without restricting circulation, while the GripGel sticks to the patient's skin without causing shear forces. 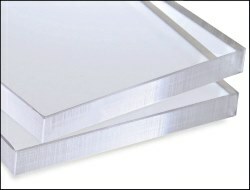 With a thinner profile of 2mm, the SFB is an ideal choice for those concerned about bulk. The #46 knee brace brings your comfort to a new level with its elegant and light design. 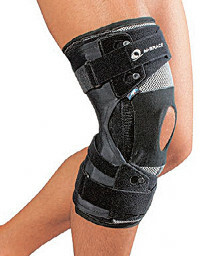 This brace alleviates knee pain by reducing the weight on the medial or lateral compartment by using the threepoint pressure system. 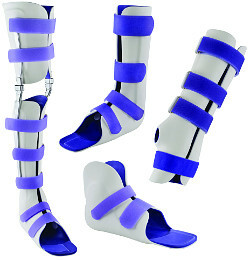 It is composed of two aluminum-reinforced semirigid straps that surround the distal region (above the knee) and the proximal region (below the knee). These straps are to be custom molded to allow for optimal torsion support. Learn more and check out our other products and product lines on our website. The 3DsizeME system combines the Structure Sensor, 3DsizeME iPad app, and MSoft software for the most compact, versatile, and affordable scanning solution. With the new color detection feature, you can now use colored positioning targets to identify anatomical landmarks or to automatically align the 3D form. With pay-per-scan licensing, this solution has never been more flexible and accessible. Central fabrication facilities can customize the app to their own colors and logo and include their PDF order forms so clinicians from all over the world can instantly send orders from an iPad.